Sigma 30mm f1.4 DC HSM Art Lens - Nikon Fit. Placed in the Art line, this large-aperture standard lens with an angle of view equivalent to 45mm on a 35mm camera is a superb go-to lens for artistic photography on an APS-C format digital SLR. Offering the bright F1.4 aperture and an angle of view extremely close to that of human vision, this lens is ideal for many different types of photography. Equipped with the latest in lens technology, the 30mm 1.4 lens boasts a Hyper Sonic Motor (HSM), Super Multi-Layer Coating and a design featuring Thermally Stable Composite Material (TSC). The HSM ensures quiet, accurate and high-speed autofocus; the Super Multi-Layer Coating reduces flare and ghosting, while the TSC reduces expansion and contraction of the internal lens barrel. A rear focus system prevents focus-dependent variation in aberration, making high-level image quality possible throughout the entire image. With their unchanging barrel length, these lenses also enhance balance and stability for the photographer. An optimized autofocus algorithm achieves smooth focusing while a 9 blade rounded diaphragm creates beautiful bokeh. 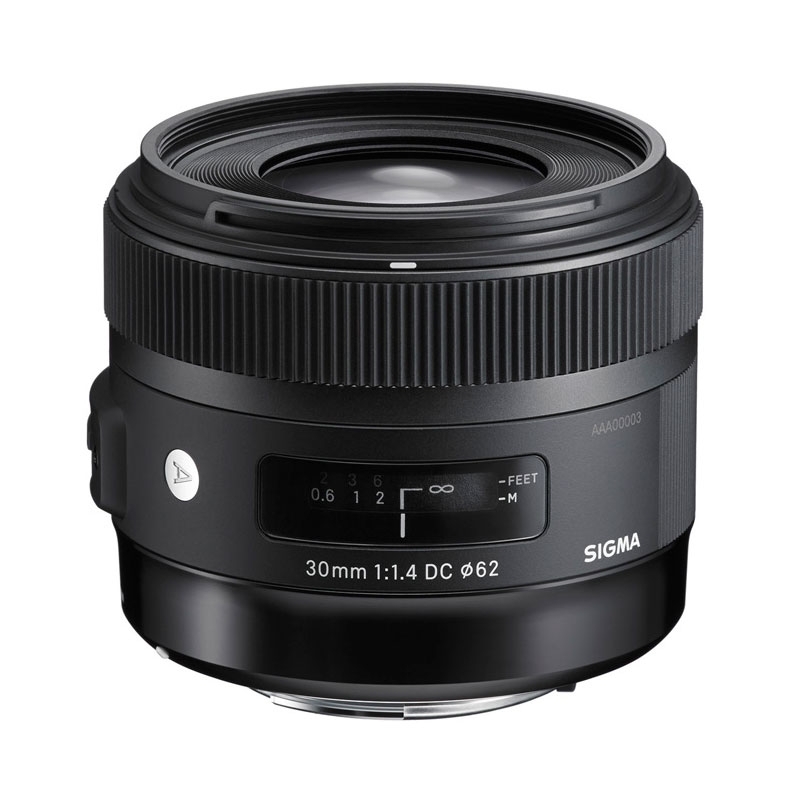 Under the Global Vision standard, every lens will be tested before shipping using the Sigma A1 MTF system to ensure the highest degree of quality possible and also features capability with the USB dock. Dimensions Diameter 74.2mm x 63.3mm / 2.9in. x 2.5in.